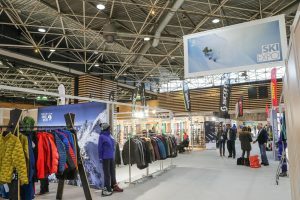 The only trade show for mountain and outdoor sports in France, which took place at Lyon Eurexpo from 12 to 14 March, ended with 3300 visitors including 1425 stores from all over France, Switzerland, Andorra and Belgium. 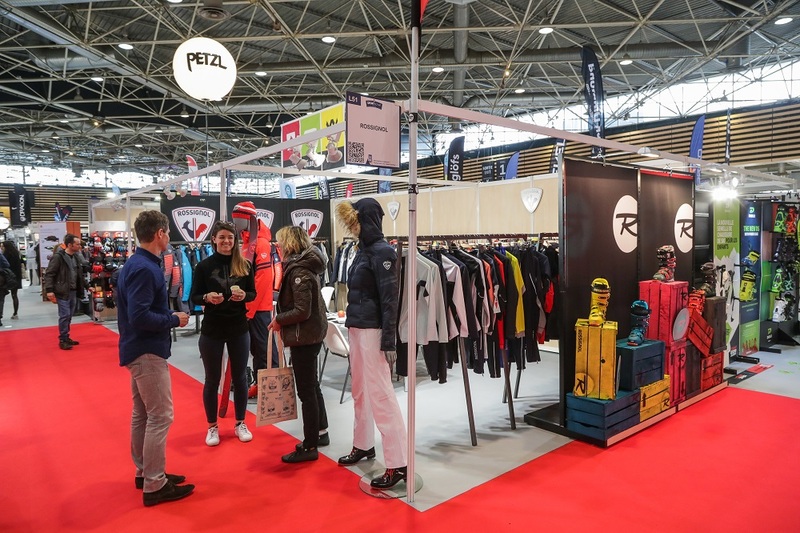 With 571 brands, 149 of them new, 272 exhibitors and an area of 20 000 m2, this 17th dynamic edition generated a significant volume of business. 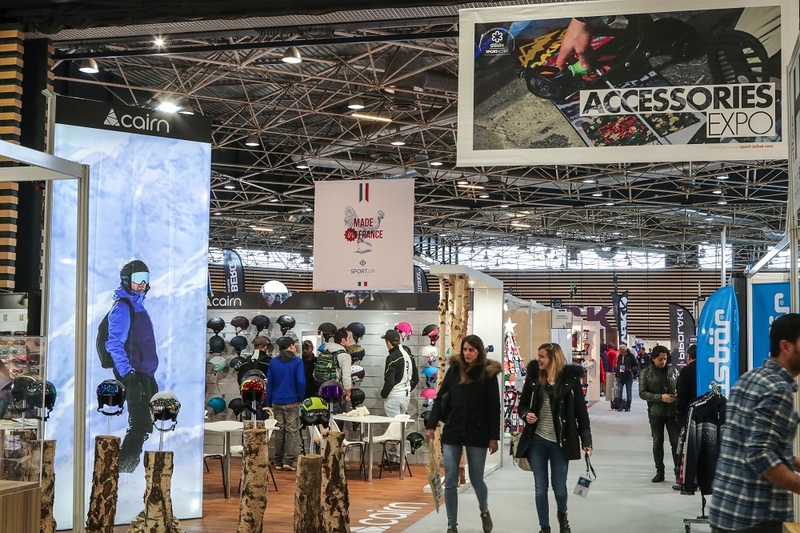 At The North Face, which had a promising start early in the season, « orders are slightly higher than our forecasts. Attendance at the show was more spread out over the 3 days,” says Julien Reymann, sales director. 361°, the Chinese brand of running shoes, entered the French market and made its first presentation at Sport-Achat. « In a presentation-introduction phase, our No. 1 goal is to create notoriety, to let people discover the brand and to meet customers who are ready to confirm orders, » reports Nathanael Fresnois. The same satisfaction was felt on the equipment side: « We have seen lots of people, the atmosphere is very good. The season is excellent, the retailers are as happy as we are, it is pleasant to work in such conditions! » says Harold Ancé of Atomic. With nearly a quarter of new exhibitors, but also start-ups, gathered at the Espace Crème Fraîche and Made in France in the spotlight with its dedicated area, Sport-Achat plays more than ever the role of prescriber and visitors will have had plenty to satisfy their curiosity. 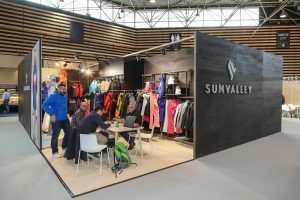 The entrance to the show also set the tone with the showcasing of around fifty innovative products awarded at international shows in the Espace Winter Award: the Eco Proof Jacket by Haglöfs, the hybrid S/Lab Shift binding from Salomon, not forgetting Vaude’s eco-designed shoes and backpacks, the outdoor sports market is a laboratory that is constantly on the move! « Levi’s has a lot of success in town with logoed shoes and accessories, but is not yet present in the mountains, which is why we are participating in Sport-Achat, » says Sébastien Pirolli, Rhône-Alpes rep.
After 2 years of absence, Mountain Hardwear, owned by the Columbia group, is relaunching itself on the French and European market. 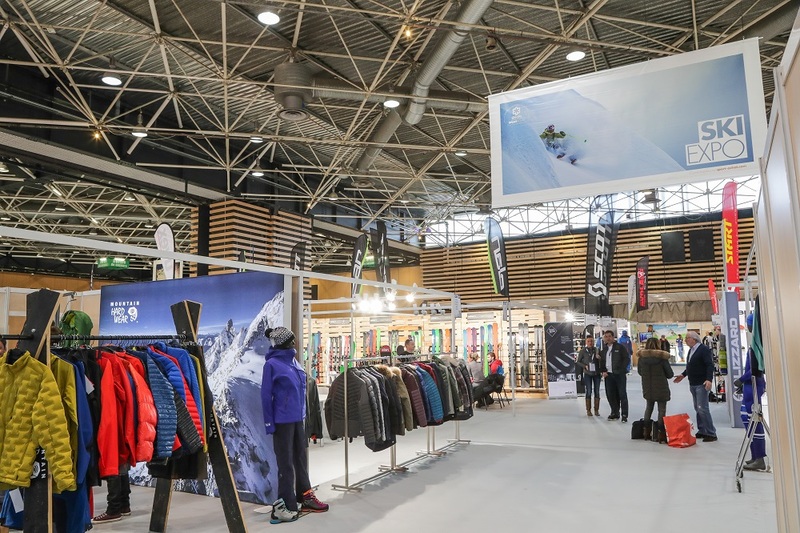 « We are participating in Sport-Achat in this dynamic, to reposition the brand, show the market that Mountain Hardwear is there and reconnect with our existing stores for our many upcoming projects, » confided Pierre Comte. A sign of the times, the bicycle is now on show at Sport-Achat hiver. 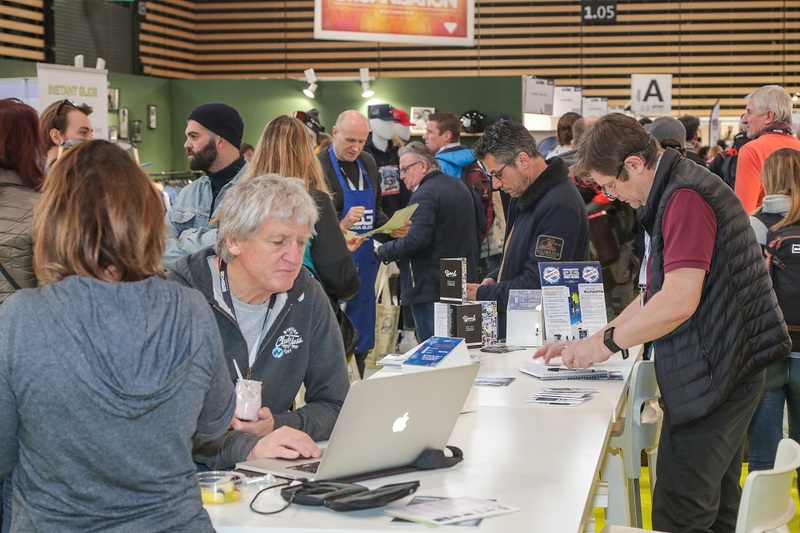 This is the case for Cycleurope with Peugeot Cycles and Gitane, who have come to present their mountain bikes, VTTAE, fatbike, but also some city bikes, as Lyon requires: « we were present this summer, we are present this winter, it is strategic! 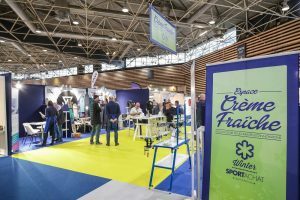 As a French manufacturer, we had to be present at this show and it’s going very well since we have not stopped since this morning!” says Dany Montels, sales manager. For O2Feel, specialising in electric bikes, « It is a first! We chose to come in winter to be noticed, because there are few bicycle players. With 350 points of sale, we are in the valleys but rarely in the resorts, and our goal is to be able to link the dual functionality of ski and summer mountain bikes, » explains Mr Brunot. – The revolutionary permanent wax Giga Glide. Coming from Austria, 100% ecological, no need to wax the skis, a single application is enough for renters to enjoy 7 days on the slopes. – Alize Ski The smart ski rack with wheels, made in France and intended for rental and sale. – Easy Snowboard, a brand of fun and versatile snowboards which are also customisable. – Swedish polyurethane boots, Polyver. – Binocle Eyewear, a brand of unbreakable and customisable sunglasses with polarised lenses. – Intuition / Formthotics : a brand of thermo-formable ski-boot liners. The textile and knitwear collection in noble materials like the 100% woollen Arles merino for men from Galucebo. The new brand Couleur Tong, leather flip flops produced at the foot of the Vercors and which have the unique distinction of being available in 16 colours. The sock brand Berthe aux Grands Pieds which has been involved in Made in France since its creation as well as Actua Concept, a manufacturer of furniture and decorations. The new Italian thermo-regulating technical underwear brand, UYN, specialist in 3D knitting with a new material, Natex, a vegetable polyamide ensuring good management of breathability. It also offers a merino range. On the equipment side, craftsmen and semi-craftsmen rub shoulders with the heavyweights of skiing. Lacroix, which celebrated its 50th anniversary in 2017, re-concentrated its manufacture of prestige skis on Made in France and returned to Sport-Achat to present complete silhouettes, accessories, textiles and skis. A renewal. 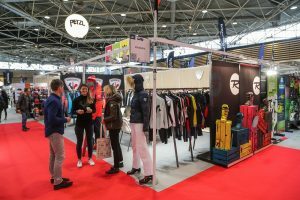 After a successful run at Crème Fraîche in 2017, Racoon, a Canadian ski brand that uses maple wood, returned for the second year with a stand. Placed near the foodtruck with selected hours, the conference area had the virtue of informing visitors that Sportair creates added value through conferences with themes specific to the sector. 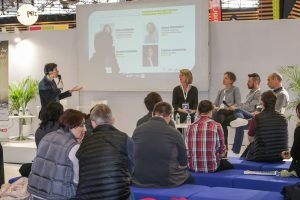 « By offering 6 conferences, we wanted to give information to all the players, but also highlight the brands in the Crème Fraîche space and the new Made in France area, » says Mathieu Kurtz. Among the subjects covered: the growing sports market. The first conference delivered the review of the sports market in 2017 and its outlook for 2018. 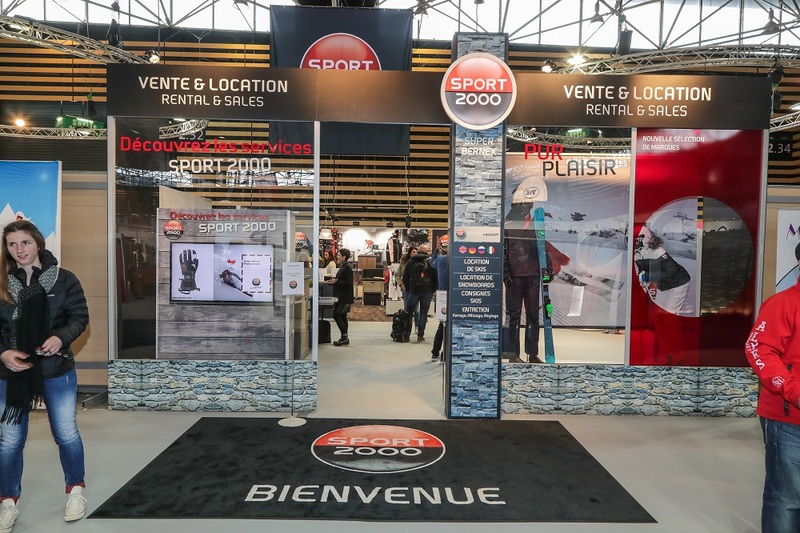 The figures to remember: from a turnover of 10.9 billion in 2016, the trade in sporting goods in France recorded an increase of 3% in 2017 at 11.3 billion. More dynamic than the rest, with the exception of the video game market, the sports market has been growing steadily since 2010, with growth of 2.9% over the past five years. In the top 3 are footwear with an increase of + 5.7%, textiles with +2.2% and cycling with + 2%, boosted by the electric bike with almost 100% growth. 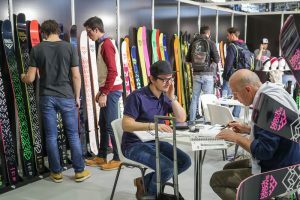 36 million French people bought items on the Internet for a value of 1.3 billion and online sales now account for 12% of purchases which forces distributors to reinvent themselves: 16% is done via mobile phones.Among emerging practices or lifestyles that boost sport, are the outdoors (+20%), running (+14%) and training (+8%). A trend to follow: the feminisation of the practice, women account for more than 35% of the market share for textiles and footwear. The sports market for women is growing faster than for men, with a strong athleisure trend. Other global trends; connectivity, from purchase to practice, and the community aspect. 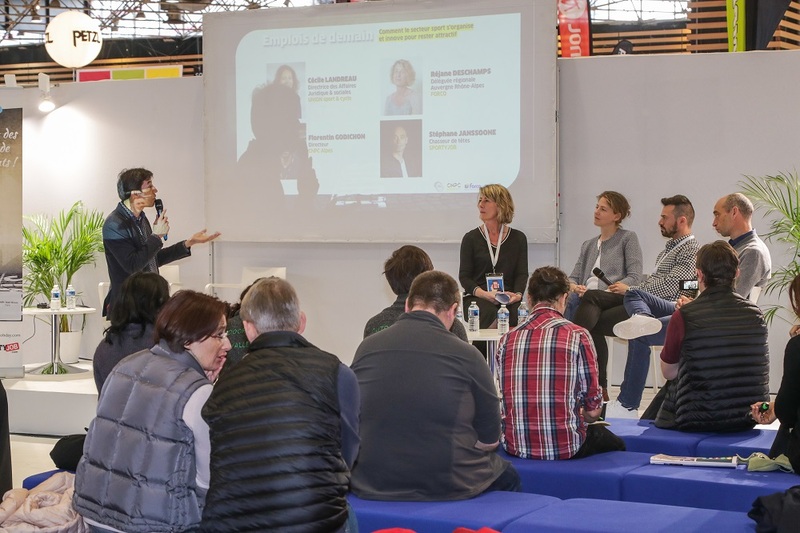 « The sports sector is attractive, with 200,000 employees including 80,000 full-time equivalents in distribution and manufacturing, » said Cécile Landreau Legal Director of UNION Sport & Cycle.